UKAVA In The News – out today! 3. Send an opt-in email to everyone in your address book asking them to sign up for your newsletter. Make sure your don’t just include everyone in your contacts list in your newsletter list, ask their permission first. 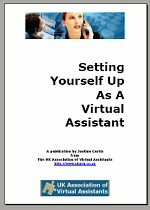 Win A Virtual Assistant Business!